The weather is changing. Suits me fine, but hubby’s finding it a bit chilly. Not quite cold enough for the central heating, but he’s pottering around in his me-knitted slipover. I’m still in t-shirts. What a busy summer we’ve had. Absolutely wonderful, though. ES plus his three delightful children came to stay for a few days at the end of July. Umberslade Farm Park was perfect for all six of us, really enjoyed it. Rocky rode on a pony! we all stroked various animals, and wondered at the humming noise the alpacas make. Lincoln for a few days beginning of August. To the Cathedral, which despite our anti-religion stance, is a beautiful building. And a choir started singing as we went in! magical. A peregrine falcon was shrieking round the bell tower which was exciting. I nearly got locked in the toilet. So that was exciting too in a different way. 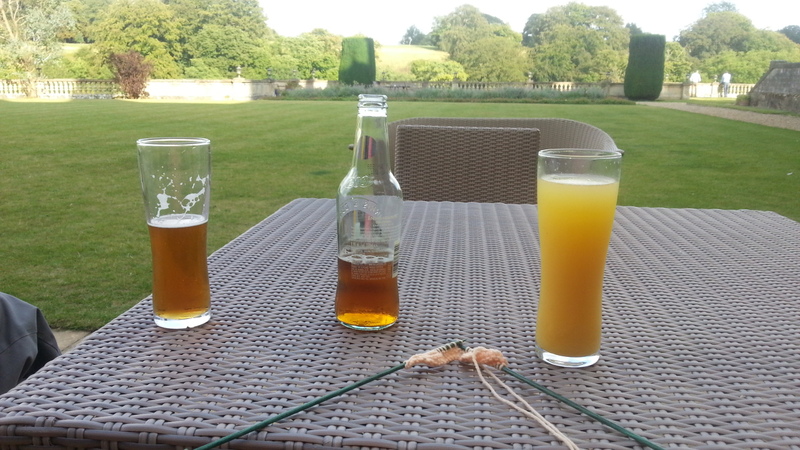 We stayed at Stoke Rochford Hall, which if you are a member of the NUT (as is hubby) is discounted. Excellent, just excellent. A stately home in fabulous grounds. Very peaceful and relaxing. 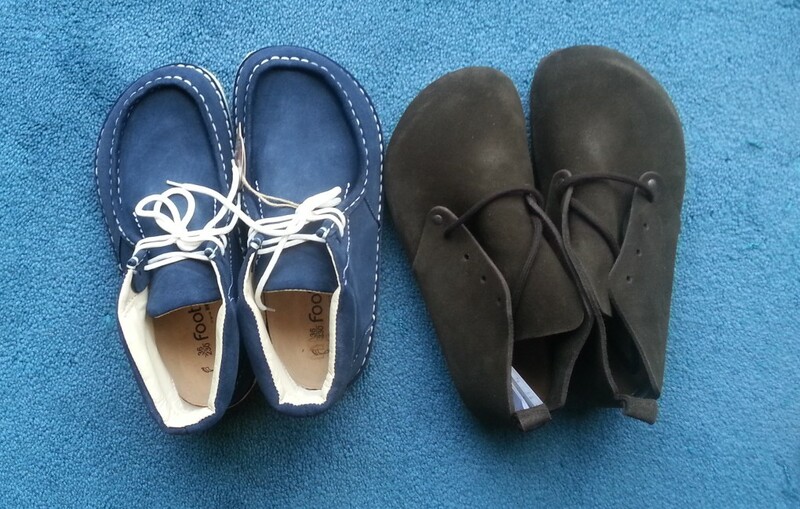 I’ve treated myself to two new pairs of shoes. Birkenstocks. Just discovered they do proper shoes as well as sandals and clogs. They are the only shoes I can wear without pain. The medics wanted to operate on my poor old feet but I cancelled the op when the date came through, in the hope and belief that these shoes will do me for wintertime. Very excited. 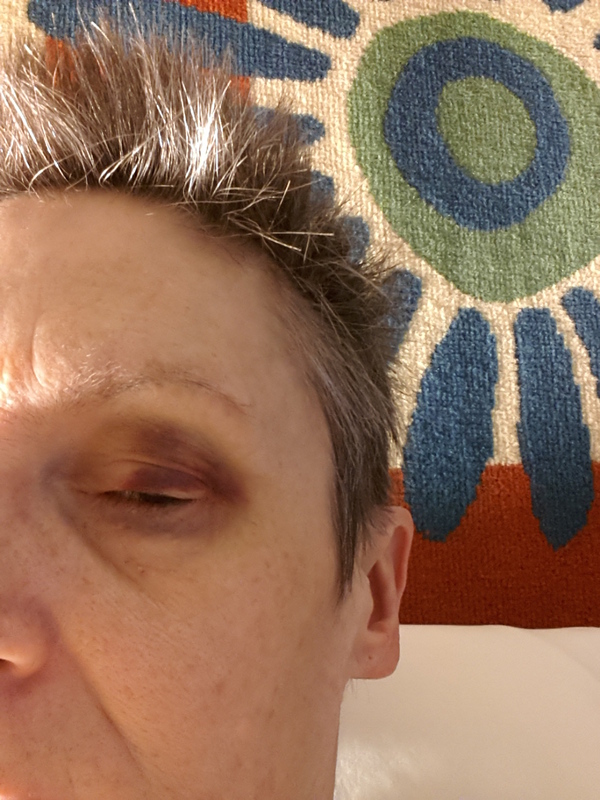 Whilst in Lincoln, I developed a black eye. No injury, no impact, nothing. It just came up during the day. Went to the doctor, who arranged blood tests (4 vials – jeez!) and there is something up, but I don’t know what yet. Back to GP on Wednesday to find out. The black/purple has almost gone now, thank goodness. Ugly and embarrassing. Then YS’s two lovely children came to stay for a few days – and Umberslade Farm Park was wonderful for us all too! a falconry display, no less. 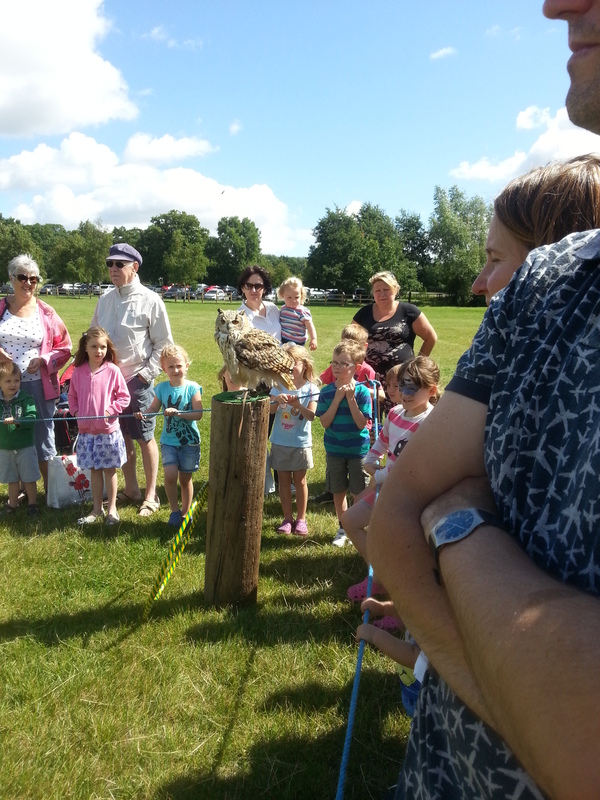 A barn owl, an eagle owl (fabulous!) and a Harris Hawk. Amazing. So interesting. Today I’ve cut back dead poppies and dicentras, deadheaded buddleias and tidied up the wistaria and the golden hop. Much tidier and nicer to look at. Our garden isn’t very big, but it feels green, lush and peaceful. Yesterday went to Martin & Jacky’s (two Labour party activist friends of ours) to watch Spirit of ’45 and have lunch. The film is an absolute must. Really, really interesting, and I found it quite emotional in places too. Took a choc-chip coffee cake and a carrot cake, which went down a storm! And apropos of nothing, if you have time, please take a look at this. It’s my friend Ben’s blog. He’s talented, interesting, knowledgeable, very artistic, has had knitting designs published, and I do worry about him.